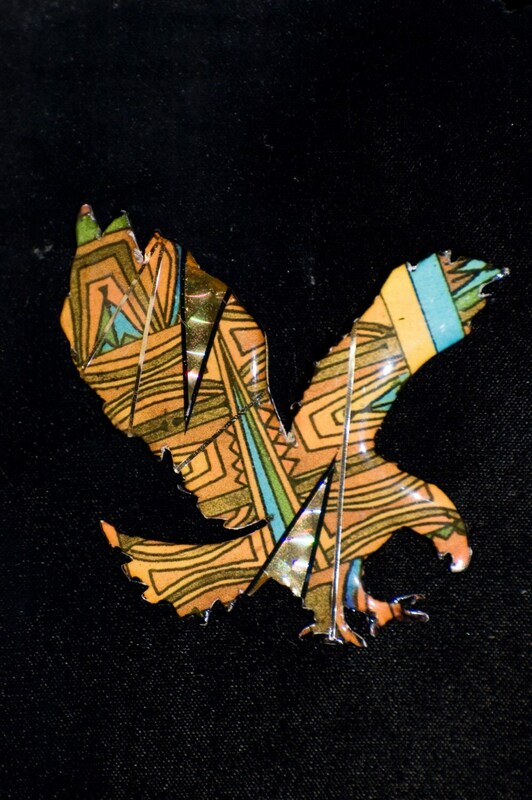 Hand made eagle pin with an image and graphics encased in brass and fiberglass. Image is of an American Indian inspired print. Comes from a 100 year old blanket that was traded out west in trading posts!